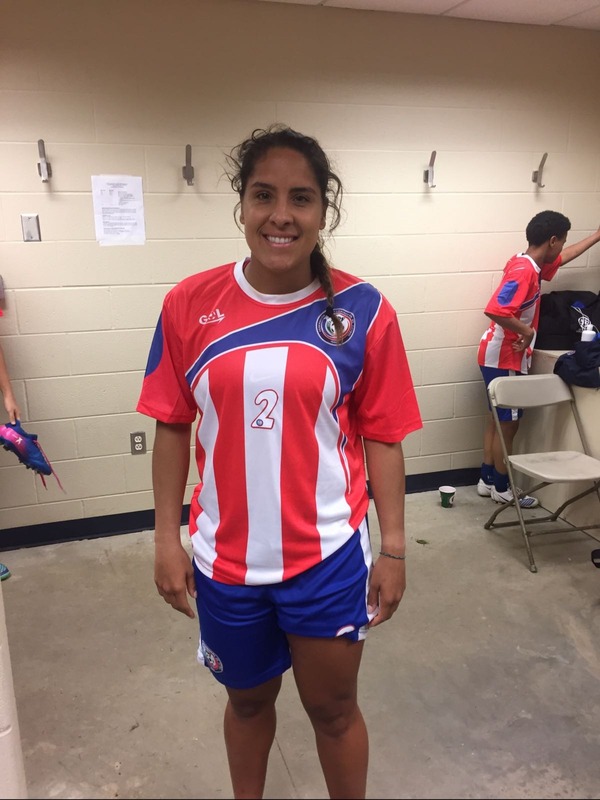 Micaela Castain Serrano hizo su debut hoy con la camisa de NuestraSelePR. Fue delantera titular frente a Notre Dame University, #16 en el 'ranking' colegial de la NCAA, 1ra División. 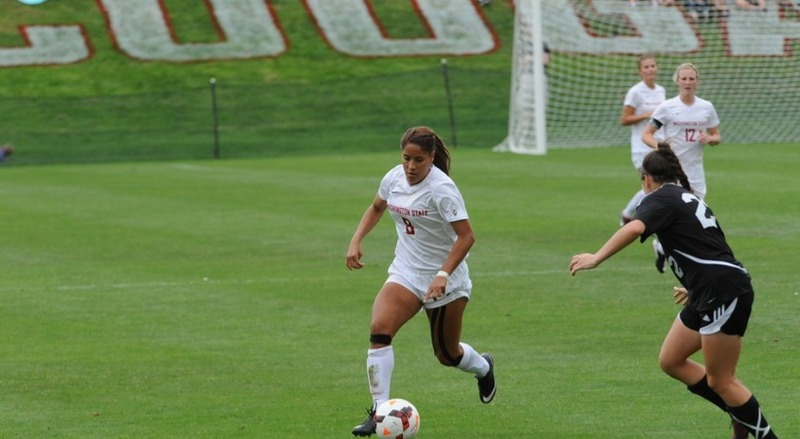 Micaela nació en Chicago, pero se crió, estudió y se desarrolló como futbolista en el norte de California. Su madre, Idalina Serrano, es puertorriqueña. Su padre, Mike Castain, es californiano. Los abuelos maternos de Micaela son de Puerto Rico. "Mi mamá, Nereida, es de Patillas, aunque actualmente está viviendo en Chicago. Mi padre, William, era de San Juan, pero murió hace muchos años", nos describió IDALINA SERRANO, progenitora de la destacada jugadora de fútbol. Sepan que por poco se nos da un 2 x 1, pues también está Morgan Castain, hermana gemela de Micaela, quien también jugaba soccer. Morgan, sin embargo, ya está retirada, por lesiones sufridas y por sus compromisos profesionales. Micaela, delantera de 25 años de edad, viene de grandes logros, tanto juvenil en su club en Castro Valley, California, como en Washington State University (WSU). 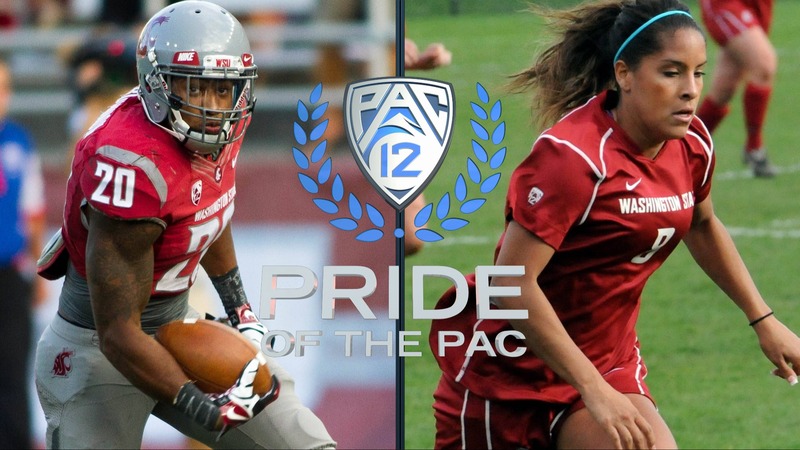 FOTO: WSU Cougar's Pride of the Pac: Deone Bucannon and Micaela Castain (2014). Medalla 'The Tom Hansen Conference Medal' otorgada a los mejores estudiantes - atletas de la Conferencia Pac-10 tanto por su ejecutorias deportivas, excelencia académica y liderato. Conversamos con Micaela y con su padre, Mike, sobre todo alrededor de su trayectoria deportiva y su convocatoria al equipo puertorriqueño. 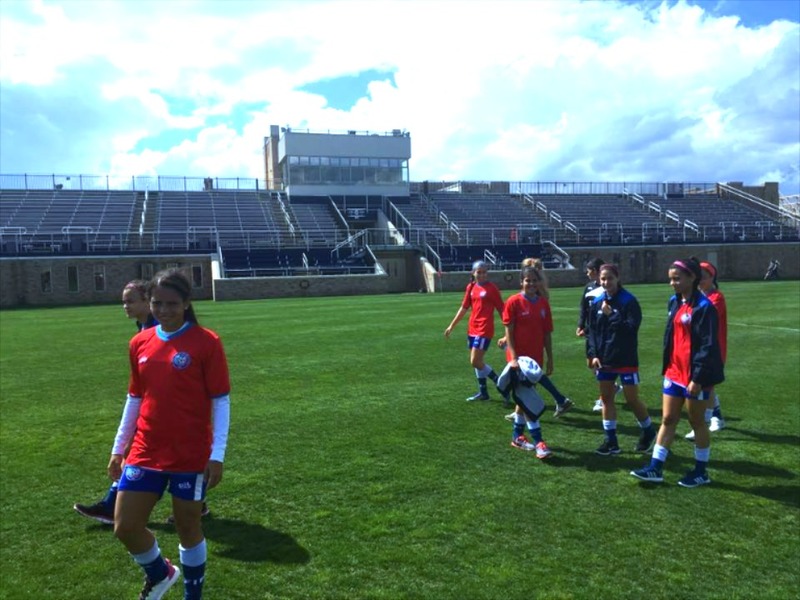 How were you contacted by coach Shek Borkowski and Puerto Rico (PUR) Fútbol Federation? "I currently coach at the University of Montana, and Mark Plakorus, who is the head coach here, actually emailed Shek and asked about how could I get into playing with PUR. Shek called me about an hour later and we spoke about me coming to play". "I have been trying to get Micaela (and her twin sister Morgan) connected with the PR National team since she was in high school and frsshamn year of college, however my contact with Eric Labrador and Jack Stefanowski (one of the previous PUR coaches) indicated that during that time frame the Federation was not putting much effort in the the Women's Team. Her college coaches also inquired about the possibility, but received similar information from the Federation. Did you ever realize that you could play for PUR WNT? 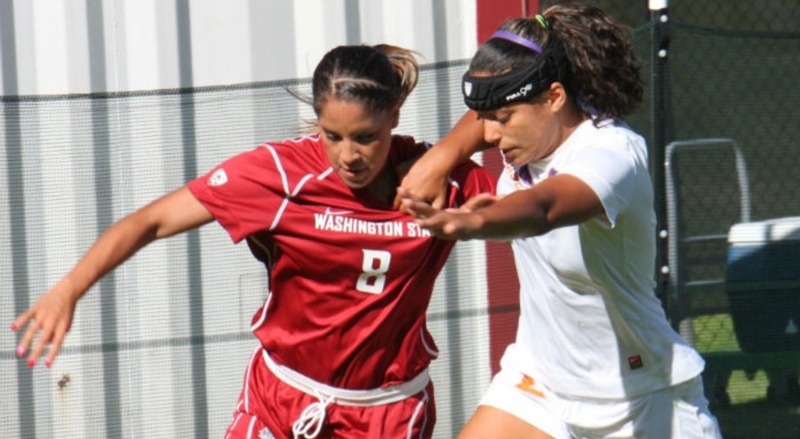 "I did realize I could play back in college and my college coach Keidane McAlpine tried to get in the touch with the former coach but nothing ever came of it". How was your reaction when you got this invitation from PUR WNT? "I was just so happy and excited to be able to represent Puerto Rico. Its an honor to be able to even have this opportunity. It's a blessing to be able to continue my soccer career". "Hahaha!! I was supportive of both teams. I love watching both team compete, but I'll have to say I was on Puerto Rico just a little bit more..."
"After Micaela's Freshman year at WSU, she was invited to and attend the U20 US National Team training camp in 2011, however was not included in the final roster for those competitions due to an injury sustained during her Sophomore college season". Did you get a soccer scholarship in WSU? How do you did over there in NCAA soccer? What was your bachellor's degree? And when did you graduated? 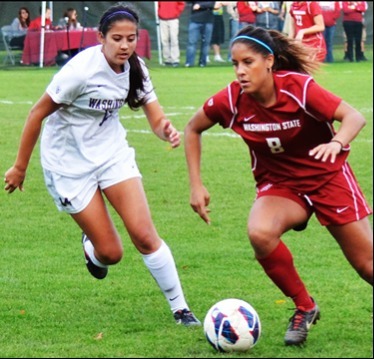 "I did get a scholarship to play there along with my twin sister, Morgan. We both made the decision to continue our education and soccer together... I was the PAC 12 player of the year and all American second team my senior year (2013) among other awards... Graduated in May 2014... My degree was in Psychology and Human Development". What are you doing for living now in Montana? Any soccer recently? "I'm coaching as an assistant coach at the University of Montana. I haven't played since I did pre season with the Chicago Red Stars (en la principal liga profesional femenina de E.U) in 2014 in a competitive environment. But, I did play on a Semi-Pro team in Fresno, called the Fresno Freeze, for a couple of seasons. I have been training however consistently! I'm lucky enough to be able to jump into practice with my Team Puerto Rico!" 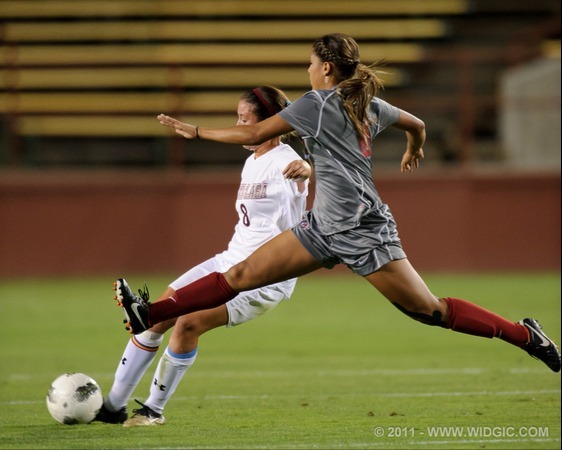 "After college, Micaela was invited to several different National Women's Soccer League (US Women's Professional League) Team training camps in an attempt to make the team as a Free Agent. She decided to try out for the Chicago Red Stars in 2014. 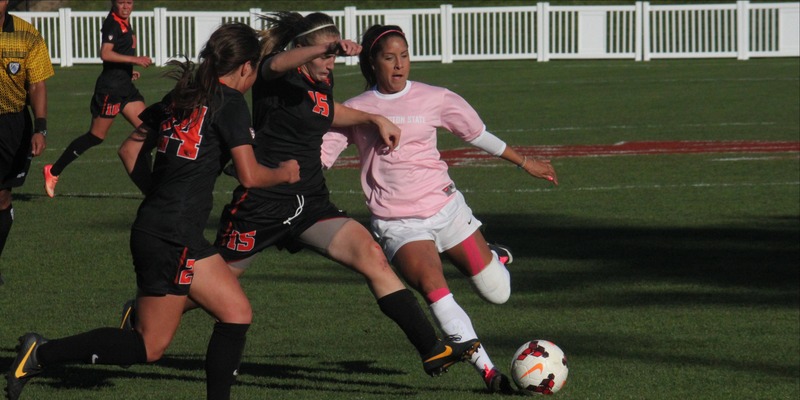 She attended a 2-week training camp and injured her knee ( a re-injury from her last college game). Due to the injury, the team was not able to offer her a roster spot at that time. She returned to college to complete her degree. After graduation, she was invited back to Chicago to play on their reserve team an possibly earn a spot on the Pro team, however she opted to return home after college graduation and began working in the business world..
After working in the business world for over a year, she realized she missed soccer, and was hired as an Assistant Coach by the University of Montana in March 2016". Así queda evidenciado que la diáspora puertorriqueña es y seguirá siendo un factor determinante a la hora de confeccionar equipos nacionales, no sólo en el FutFem, sino en todos los deportes.